If you’re looking for spectacular, over-the-top and extremely scripted holiday-fun, watching the Christmas special of RuPaul’s Drag Race is definitely the right choice of entertainment. The Emmy-award-winning reality show just recently finished its tenth season (and third season of All Stars) and will start a new season of All Stars on December 14. 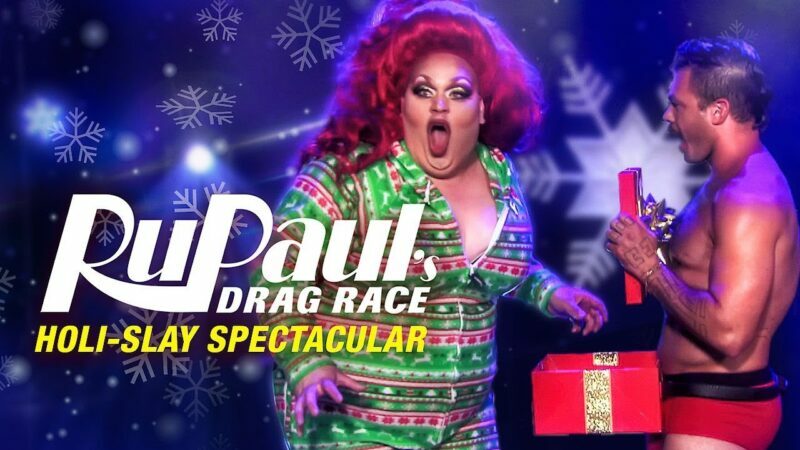 And to make the wait between seasons easier, RuPaul has blessed her queendom with a holiday special titled RuPaul’s Drag Race Holi-Slay Spectacular. In this one-off episode, eight queens from past seasons are competing in a festive competition in order to be crowned RuPaul’s Christmas Queen. Latrice Royale, Jasemine Masters, Mayhem Miller, Sonique, Eureka O’Hara, Shangela, Kim Chi and Trixie Mattel were the line-up presented to the audience on December 7,2018. The special is full of festive decor, costumes, looks and of course auto-tuned twists of some of the most famous Christmas carols. As expected from a Drag Race episode, everything is one the fine line between tacky and funny, making the audience laugh for different reasons – be it the actual, planned jokes, or the unplanned ridiculousness of another badly scripted scene. Compared to any other Drag Race episode, the special manages to be nothing but a festive gathering of friends, showing off their Christmas looks and of course, lip-syncing. In this case, not for their lives, but for some holiday cheer. Plus, if you watch until the end of the episode – and I do recommend making it through the forced singing and caroling – there are one or two additional twist to the usual Drag Race themes. All in all, this episode obviously lacked some drama or badly executed looks, but it is an hour of entertainment that definitely helps celebrating the holiday spirit. Plus, it makes the wait for a little easier. Jimmy Buffett to Perform at Grand Opening of Margaritaville at Universal CityWalk Hollywood on March 30!